Production managers, shop managers, and farm managers know that having an inventory of spare parts and shop supplies can prevent downtime, which helps save money. Good supply management is one of the top best practices for equipment managers. So when there’s an opportunity to save on those spare parts and supplies, grab it! PaulB Wholesale’s annual Early Order Parts Program gives you the opportunity to buy now for winter manufacturing or to stock up for spring at discounted prices. 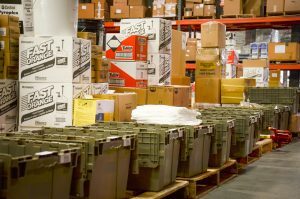 Wholesale supplies ready to be delivered to PaulB Wholesale customers during its Early Order Parts Program. These early order savings are in addition to reduced pricing on monthly specials and promotions. This program features savings on nearly everything in the PaulB Wholesale catalog. The minimum order is $1,500. Orders must be in by Nov. 17, and product delivery takes place between December and January. Payment for Early Order Parts is due Feb. 10, 2018.